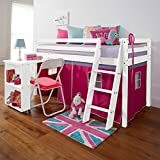 Transform their mid-sleeper bed with this fantastic Mid Sleeper Bed Tent Pack Invite their friends around for tea and then roll up the door for a special place where little girls can have fun. 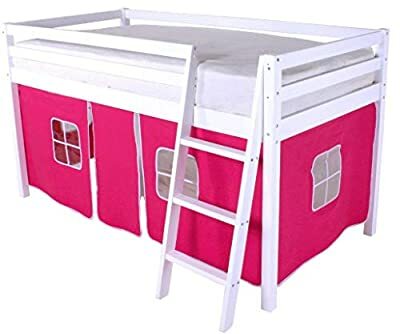 Or set their imagination free as they play in the peace and quiet of their very own den. What more could a parent want than to let their kids dream.